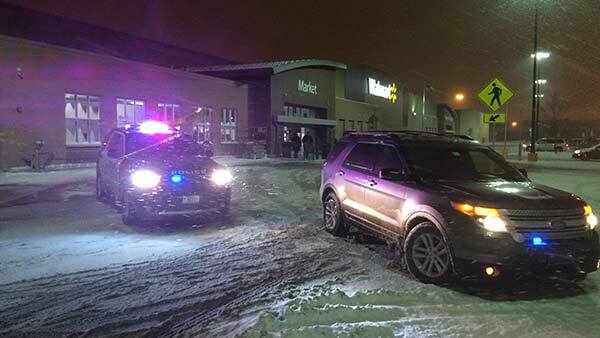 Police are investigating a shooting in the parking lot of a Walmart in Bedford Park, near the border with Chicago. CHICAGO (WLS) -- Police are investigating a fatal shooting in the parking lot of a Walmart in Bedford Park, near the border with Chicago. Bedford Park police said they responded to a 911 call and found an unresponsive male shot several times in the front seat of a vehicle. A Walmart spokesperson said the victim is a Walmart associate. The victim was taken to Christ Hospital in Oak Lawn, where he died. The parking lot is cordoned off, but the Walmart at 7050 S. Cicero remains open. Bedford Park police and the South Suburban Major Crimes Task Force are investigating. There is no suspect in custody.